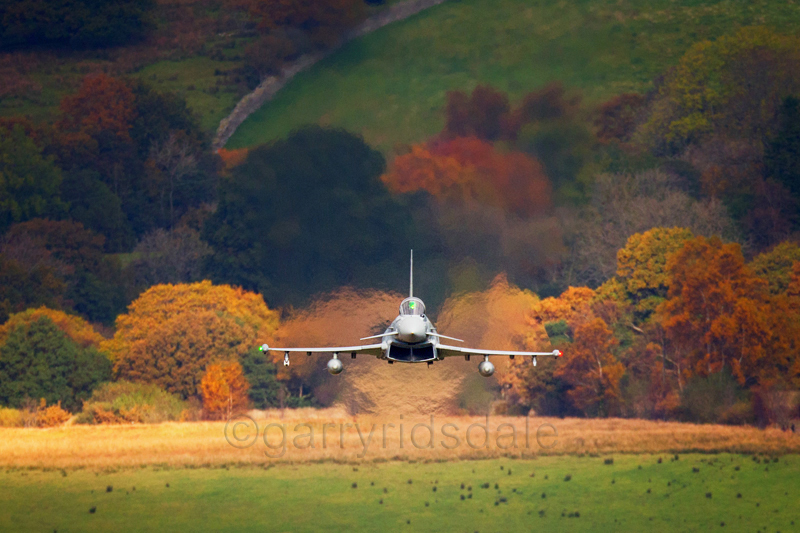 RAF Typhoon low level in Wales. Centre AF Point with 4 point expansion. 1D X & 800mm f/5.6, tripod and gimbal head. In February 2012 Canon announced a new flagship DSLR, the Canon EOS 1D X. Eagerly anticipated, stock eventually began to arrive in the UK following the Olympic Games and I took delivery of one from Park Cameras in September. Quite simply it is the best Digital SLR I have owned to date. It brings together the speed of the Canon EOS Mk IV with the full frame capabilities of the Canon EOS 1Ds, together with a host of updates including the Auto Focus (AF). Of course with each successive Digital SLR release, especially the 1 series bodies, more and more functionality has been added and greater customisable control passed to the photographer. While this is useful it can be a daunting prospect when one begins to consider the numerous ways in which the AF system can be configured and how easy it is to set it incorrectly. The aim of this review is to look at the AF system (in AI Servo) in two parts. The first considers the AF Area, its layout, the individual AF points and how they can be accessed. The second considers AF fine-tuning and the inter-relationship between the various settings. It also highlights some potential pitfalls that I've encountered and suggest ways to ensure a photographer can squeeze the maximum value from this stunning camera. The Canon EOS 5D Mk III shares many AF similarities so much of the review will apply to it too. 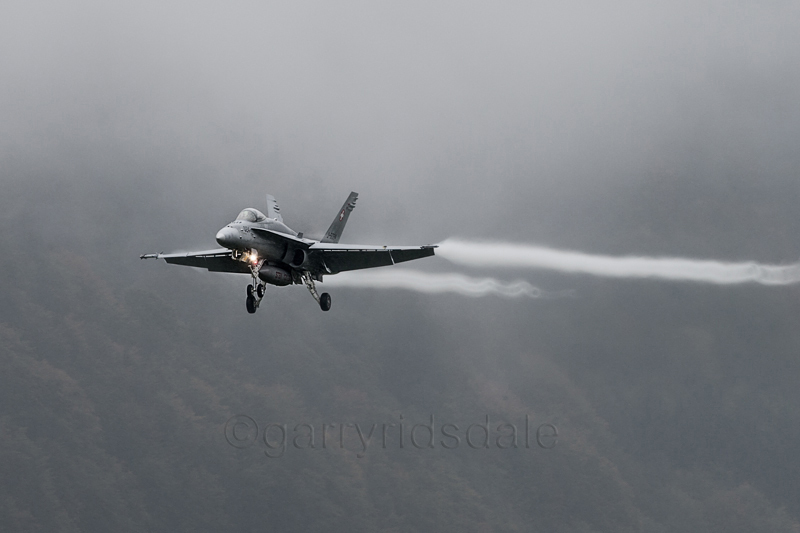 Swiss AF Hornet Landing, Switzerland. Auto AF. 1D X & 400mm f/2.8, handheld. 1/250 sec @f/6.3, ISO 160. While obvious a fundamental concept to grasp is while the photographer knows exactly what the target subject is, the camera has no idea. Only by fully understanding the AF points, various Area modes and AF settings will the photographer be able to 'tell' the camera what they are shooting so subtle changes can be made to the AF to increase success rates. It's worth remembering that the camera has to predict where the subject will be based on previous information it has captured, helping it to predict by understanding how it works can only help success rates. There is a lot more to it than just selecting AI Servo, centre AF point and out of the box settings! The EOS 1D X has 61 AF points, up to 41 of which are cross-types covering 53% of the horizontal width of the full frame. The AF Area options are now easily accessed (unlike the Mk IV!! ), with flexibility to configure the AF and camera in many ways to suit the subject matter. It sports a new Intelligent Tracking & Recognition (iTR) system using the 100,00 pixel RGB metering, powered by its own DIGIC IV processor, to recognise and track a subject (although only in 2 AF Area modes). This is the primary AF difference between the 1D X and EOS 5D Mk III which continues to use conventional phase detection. The DIGIC 5+ processors drive 12 fps (RAW) image processing at a remarkable 17x faster rate than that found on the DIGIC IV. It can also achieve AF in half the light of its predecessors, blowing them out of the water! Personally, there are three major improvements:- the layout of the AF points, the number of area modes and the way in which the various AF areas are selected. Canon has radically changed the layout of the AF points from the Mk IV. The Canon EOS 1DX effectively has the AF points in 3 rectangles, 20 grouped on the left, 21 in the middle and 20 on the right. This clustered arrangement is I find a more intuitive design, the AF points are more densely packed aiding focus precision, especially when placing subjects off centre. The photographer can now change the AF Area without taking their eyes from the viewfinder, unlike the Mk IV where it was a Custom Function change (with the exception of Spot AF which could be set to the AF Stop button on larger telephotos). • Single point AF - Select one and keep it on the subject, the camera will only use this point. • Spot AF - One point but smaller in size than the single point, ensuring focus is on the smallest detail. • AF Expansion (4 points) - One point with assist points above, below, left and right of the primary point. • AF Expansion (8 points) - A new function effectively giving a 3 x 3 cluster around the primary AF point. This mode gives 4 more points in the corners when compared to 4 point expansion so it's ideal when the photographer isn't sure of the direction of movement. Centre AF point with 8 point expansion. 1DX & 800mm f/5.6, handheld. 1/1000 sec @f/6.3, ISO 800. The 5th option, Zone AF, has 9 or 12 AF points grouped together, all of which are active. This mode can take advantage of the iTR technology but it's important to note that it is the camera that decides where to focus within the zone, aiming to focus on the nearest subject within the zone. This is a very important subtlety and its use requires careful thought before engaging. I have experienced a lot of failure using this mode while testing. The final option, Auto AF, brings the entire AF Area into play. It requires the photographer to manually select one initial point to start tracking, if the subject moves off this point any one of the other (up to 60) AF points will continue to track the subject with iTR also available. Understanding the subtleties of these options is crucial before one is selected for shooting. While it may leave the photographer in their comfort zone using 'their favourite' they may not be utilising the full benefit of the system. Canon has done a great job in increasing both the hardware and functionality of this camera. The availability of the 61 AF points and their sensitivity is a consequence of the lens in use. Knowing that the sensitivity of an AF point can change when say an f/2.8 lens is replaced by an f/5.6 could play an important role in which is/are selected. The AF points are not all the same! For example, with a 400mm f/2.8 attached all 61 points are available. Of these, 5 are high precision cross types ( + and x), 36 are cross types (+) and 10 are horizontal (-) sensitive. Switch to the 800mm f/5.6 and the number of available AF points reduces to 47 simply because there isn't the same amount of light hitting the sensor. However, the 21 clustered unsurprisingly around the centre are cross type (+) the remaining outer 26 are horizontal sensitive (-). On the 1D Mk IV there were no cross-types at f/5.6! With the firmware update announced in October allowing AF at f/8, the centre AF point only remains a cross-type (with 4 point AF expansion points if required). By comparison, the centre AF point on the EOS 1D Mk IV at f/8 is horizontal sensitive only. Without getting into the science of it all the high precision sensors can adjust focus more accurately (Canon suggest 2 to 3x times more at the sensor), but because the AF sensors are further apart they require a larger cone of light to work, otherwise they normally revert to standard cross-types. So not only do almost all f/2.8 or faster lenses offer shallower depth of field, faster shutter speeds, lower iso settings, they make full use of the AF point technology. Just a shame they're so expensive! So What Does This Mean For The Photographer? While a smaller sensor brings extended range due to its crop factor any benefit needs to be balanced with the potential loss of AF functionality. Clearly, I much prefer having cross-type AF points to work with at both f/5.6 and f/8 than relying on those with horizontal sensitivity only as found on the Mk IV. The same point applies with f/4 lenses where on the Mk IV only the centre AF point is a cross-type, the remaining 44 are horizontal line sensitive. By comparison on the Canon EOS 1D X the central bank of 21 AF points are all cross-types with another 40 horizontal sensitive. This gives the photographer much more compositional freedom due to wider AF coverage and more cross-type sensors away from the centre point offering confidence that if the AF point is moved off-centre there will be no loss in AF success. To assist this it is worth looking at the AF menu and considering setting the camera up so that only cross-type AF points are both shown in the viewfinder and used (Selectable AF Point) Alternatively, if all are chosen to be displayed those that aren't cross type will blink. The increase in AF points and their sensitivity is a huge improvement over previous models and I believe a key factor in AF performance improvement. Personally, I see the use of Spot AF in AI Servo to be with a slow moving, perhaps small in the viewfinder subject, if used at all. It is the smallest of all the AF points and having to keep it on a relatively tiny area of focus with a moving subject seems fraught with disappointment. It is however excellent in One Shot AF with a static subject such as a perched bird. Setting Auto AF and engaging all 61 points with iTR active is incredible technology but the photographer has to use it with care. For example, when the subject is small in the viewfinder and focus is acquired with the initial, manually selected, AF point if that point is moved off the subject the others 'kick in' trying to find the subject. My experience to date is that unless the target subject is close, or takes up a good portion of the image, the AF will jump all over the screen. Canon illustrates it with a cyclist who is big enough in the frame for the AF to recognise and track. With a big/close enough subject not only are the compositional possibilities excellent but all of the available AF points are helping. For some of my aviation work with jets approaching at over 400 mph there isn't time to continually change a single AF point to recompose the image, but knowing that iTR, Auto AF, is working to help me if I lose the image from the first selected AF point is only going to help both continue tracking it and allowing me to recompose. Caution is needed however as the photographer is relying on the camera to focus where they want it too, but pick the right situation and it is incredible technology. At first glance Zone AF seems just like AF point expansion with a few more points added, however it is subtly different. With Zone AF all the AF points within the Zone are active and the camera decides where to focus. 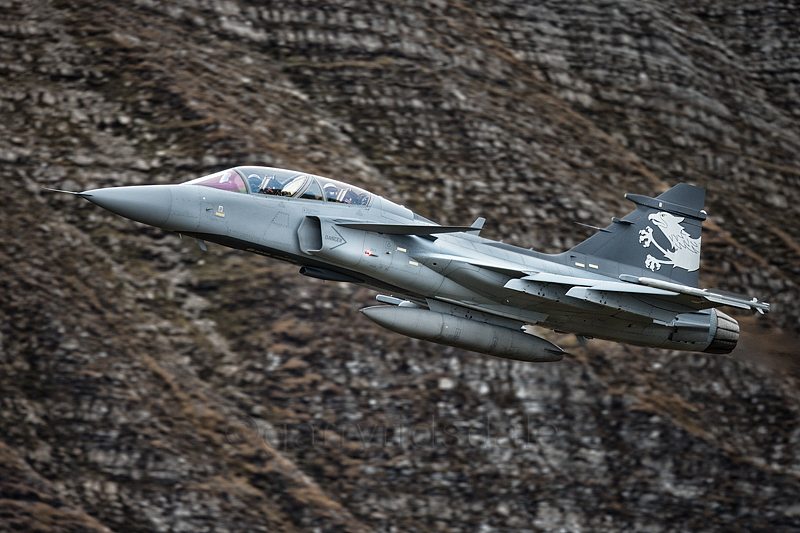 In comparison with AF point expansion the photographer manually selects one AF point, around which tracking is based, with the remainder assisting/on stand-by in case tracking is lost. Furthermore, Zone AF will aim to focus on the nearest subject covered by the AF points within the zone. AF point expansion will target the subject chosen with the chosen AF point. So for a fast jet at an airshow against blue sky it could be an option to consider, but leave it on when the aircraft comes into land, with runway marker boards in the foreground, and the AF may just find them and not the aircraft. Similarly, when I've tested this option with hunting Owls, if reeds suddenly come into the area of focus, the AF can switch. The photographer must really assess what the shooting environment is like before choosing an appropriate setting. The size of the subject, the detail it possesses, the background/foreground and speed/direction of movement are key considerations. A useful option worthy of consideration is to register say the DOF button as another AF area mode such as Auto AF. By simply pressing the DOF button the AF mode will switch from that selected to the pre-registered choice. I have this selected for use with my aviation work, using AF point expansion to begin then switching to Auto AF when the aircraft is big enough in the viewfinder allowing me to compose the picture far easier.